As the Premier League club goes through a period uncertainty, it looks like the players are unwilling to come together and pull through it with their manager. Maurizio Sarri. 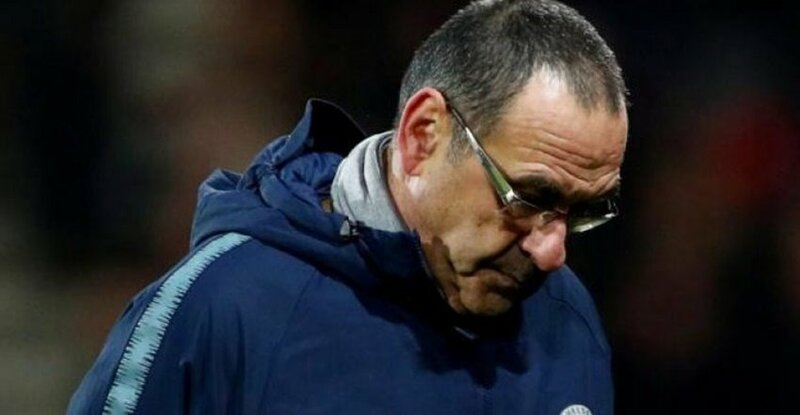 The man who was hailed for his style so much so that a new term, Sarriball, was coined to recognise it. His Napoli side were a feast for the eyes and were the closest challengers to Juventus’ stranglehold on the Scudetto. But things haven’t gone to plan for the Italian in the Premier Leaugue. 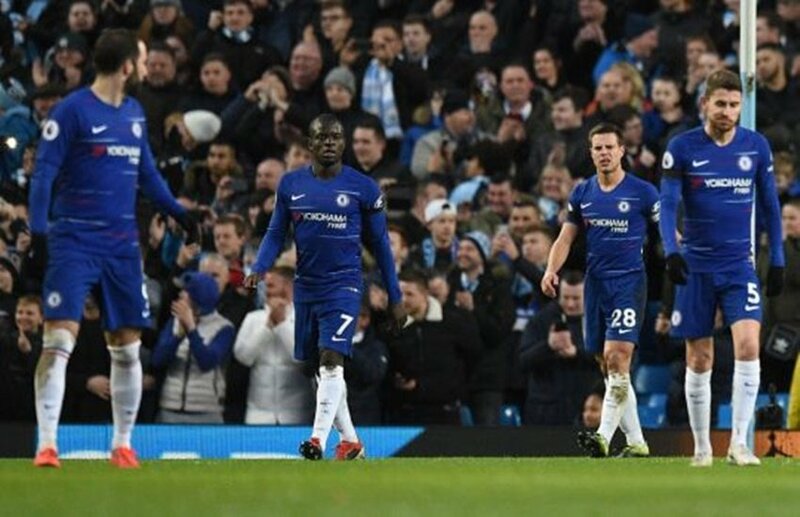 Chelsea, despite putting on a show initially, have struggled to pick up points and find themselves outside the Champions League spots. One Spanish newspaper has come out with some grave allegations which might not please the club and certainly not Sarri. AS, the popular, Spanish media outlet has revealed that the Blues dressing room is an unhappy one. Their sources say that allegedly the biggest names have thrown in the towel and do not trust the manager. And this has been going on for months now. With the bad string of results, it has been more eminent to the outsider. The report also claims that a few players have already spoken with their representatives, seeking a move out. They are unwilling to stay at the Bridge unless manager is shown the door. Eden Hazard was allegedly one of them. The Belgian, whose contract runs out in 2020, has already set his eyes on Real Madrid. He has been public about his admiration for the Royal Whites but the tension with Sarri has escalated his desire to move. The 28 year old was expected to thrive under an attack minded manager bu things have gone unexpectedly gone south. These are definitely worrying time for a Chelsea fan. The departure of Emenalo has certainly knocked the wind off the sails of the ‘Chelsea Business Model’. The club, who have successfully chopped and changed their managers, find themselves at a similar juncture yet again. The is no denying that Sarri’s time at the Bridge is rapidly drawing to closure barring a miraculous upturn. Now, the FA Cup tie against a resurgent Manchester United will draw a lot of curious Chelsea eyes. Both fans and the club will be expecting a response on the pitch. If Sarri can produce it, he’ll buy some more time. Else, it will be No.14 of the Roman Abramovich reign. Liverpool eye summer swoop for €65million defender to partner Virgil van Dijk! Real Madrid blocked three offers even before Transfer Window!